There are several reasons why you may want to remove a chimney. Firstly, if your chimney is damaged or dangerous then removal can be the most cost-effective way to solve the problem. Secondly, if you want to free up space in your home, then removing a chimney can help. If you have a chimney breast that is protruding awkwardly into a room, removing it can allow you to use the space in a better way. However, a chimney is a structural part of your home and removing it is a job that requires careful consideration. You need to understand the structure of your chimney so that you don’t create a dangerous problem in your home. For example, if you remove a chimney breast in a room without supporting it higher up in the building then the remaining chimney sections could become unstable and dangerous. For this reason, it is essential to do your research and consult an expert before you begin a chimney removal. How much will it cost me to get a chimney removed? The cost of a getting a chimney removed will depend upon the type of work required, the size of the chimney and whether or not finishes are included. Chimney breasts – The part of the chimney that can be seen in the rooms is called the chimney breast. These start at the hearth, where the fire would be built, and go up from the lower room and through the rooms above. Chimney stacks – Chimney stacks begin in the loft space and emerge through the roof and are topped by the chimney pots. When altering or removing part of your chimney you must consider how this will affect the whole structure. For example, if you remove a chimney breast from your living room, you must support the remaining chimney structure above. What types of chimney removal are there? The following information explains the different types of chimney removal. Removal of a first-floor chimney breast – For an average semi-detached house, removal of a first-floor chimney breast will cost around £1500. This price should include the fitting of gallows brackets in the loft, levelling of the floor plus new skirting and plastering. In terms of timescale, this work should take two men approximately three days to complete. Removal of a ground floor chimney breast – If you wish to remove a ground floor chimney breast whilst also leaving the breast in the room above intact then this should cost around £1775. This job is slightly more complex however as the chimney breast in the above room needs to be supported. It will usually take around 4 days to complete. Removal of an entire chimney breast – For an entire chimney breast removal expect to pay around £2050 and allow 5 days for the completion of the work. There will, of course, be more remedial work, such as plastering required as two rooms are affected. 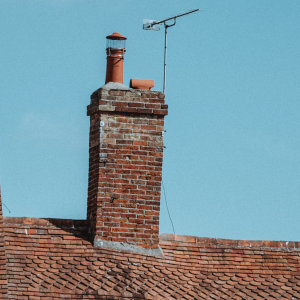 Removal of a chimney stack – The cost of removing a chimney stack will vary depending upon the size, whether or not it is a shared chimney as well as its location on the roof itself. Expect to pay between £1000 and £1600 to complete this job. You can remove any section of a chimney (without necessarily having to remove the whole structure). For example, if you only want to remove the chimney stack from above roof level then this can be done without affecting the lower sections of the structure. Of course, you will have to do some roofing work to repair the hole that will be left by the chimney removal but If your chimney stack is in a state of disrepair, then this may be the easiest option. It should be noted that this job will be limited to the roof and loft areas of your home and will not affect other living spaces, so as not to be too disruptive. If you wish to remove a chimney breast to create more space in the home then this is a larger job, but still fairly straightforward. The extent of the work will depend on the type of building you live in. If your house is semi-detached and the chimney is shared with a neighbour then there may be enough support for you to remove a chimney breast from a lower room without causing problems higher in the building. However, if you live in a detached house (or if the chimney is not back to back with your neighbours) then you will definitely need to support the structure above before you remove a chimney breast. It is essential to check all major structural changes in your home with a structural engineer. You should also make sure that you have the correct permissions in place before you go ahead with removing a chimney. You should contact your local authority to find out what they require before you start work. In addition, the work may be affected by part wall agreements if you live in a terraced or semi-detached home. In conservation areas and for listed buildings there may be additional regulations about how you can change the appearance of your home. Should I do it myself or get a professional? Removing part of or a whole chimney is a major structural job and you should not attempt it unless you are confident in your skills. You should always take advice from a structural engineer before proceeding. This will save time and money as well as preventing future problems. 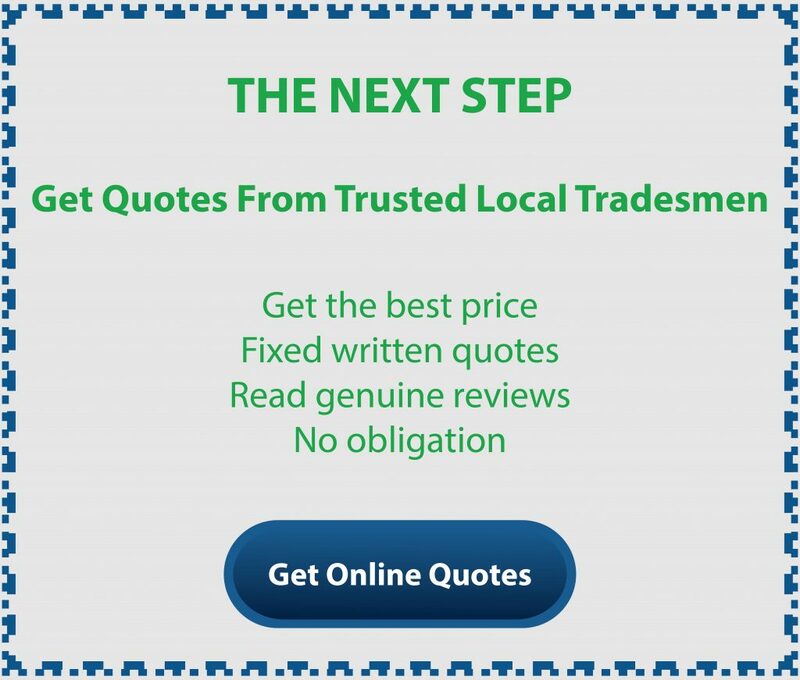 You must also contact your local authority to ensure that you will receive a completion certificate for the work done. Your own safety – If you are working on the roof you will need to use scaffolding and follow all appropriate health and safety guidance.This will be a dusty job, so you should wear protective clothing including safety boots, eye protection, a hard hat and a suitable mask. Protecting your home – Removing a chimney is a messy job creating a lot of dust and debris. You should try to seal off the areas in which you are working to protect the rest of your home. Create an enclosed area with plastic sheeting and tape. Gather several quotes. This will give you an idea of the costs involved but also help you to gain information from several professionals. They may be able to point out factors you haven’t considered. You should get the following information from your builder. What work is required to undertake typical chimney removal jobs? Below we have outlined the basic process for the removal of a chimney stack and chimney breast. Before beginning the work check that you have the correct permissions to undertake the work. If the house is semi-detached, you must check that the chimney is yours to remove and come to an arrangement with your neighbours if it is not. Then you should proceed with the following steps. Fit a new layer of roofing felt, timbers and tiles. For a regular size chimney, two roofers can remove the stack in around half a day. Larger chimneys may take up to a day and a half. Gallows brackets will usually be used to support the remaining chimney breast and stack. This is not an attractive finish but as it occurs in the loft this isn’t usually a problem. However, if you are having a loft conversion you may want to consider an alternative method of support using steel beams. If you are removing just a ground floor chimney breast, then the above section can often be supported using adjacent joists. You should also consider that there may be additional work such as decorating and reflooring the room after a chimney removal.Removing a chimney is not an easy job, however, when a chimney is causing problems to the rest of the house it can be well worth doing. Removing a chimney can also help you to make better use of the rooms when the chimney breast is situated in an awkward space.